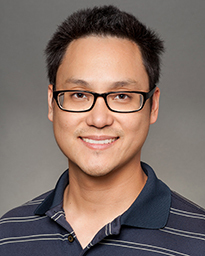 Dr. Andy E. Shen graduated from The University of Texas at Austin and earned his medical degree from the American University of the Caribbean School of Medicine in St. Maarten. He completed his residency training in family medicine with Houston Methodist Hospital at the Texas Medical Center and fellowship training in sports medicine at the Conroe Medical Education Foundation in Tomball, Texas. Board certified in both family medicine and sports medicine, Dr. Shen has practiced in Houston and Katy since 2006. He specializes in family and sports medicine with an emphasis on fostering healthy living as a way of preventing chronic disease. His patients, who range from adolescents to senior citizens, value the fact that Dr. Shen combines comprehensive care with accessibility and quality time with them. His special interest is in sports medicine. He treats a variety of problems relating to the muscles and joints as well as concussion management. Dr. Shen serves the Katy community by volunteering as a team physician for middle and high schools in the Katy Independent School District, and he was named 2012 Physician of the Year by the Memorial Hermann Katy Rehabilitation Hospital. Outside of the office, he enjoys spending time with his wife and two children, trying out new restaurants and playing sports.